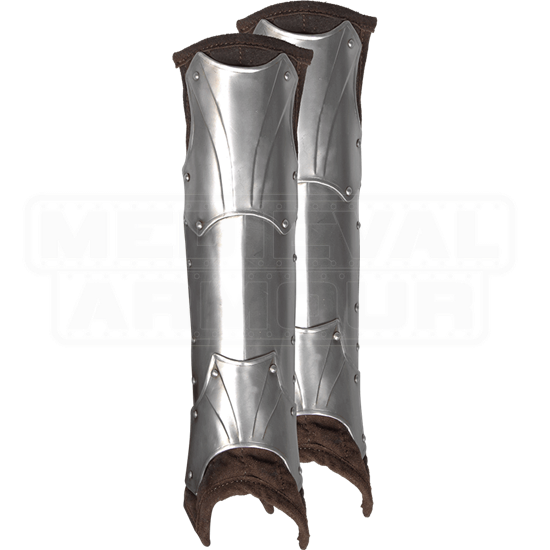 Combining comfort and protection, the Steel Fafnir Greaves make a superb choice for LARP battles and re-enactments. The steel greaves are crafted with metal plates that are riveted on a backing of padded suede leather. This design ensures that the LARP armour feels comfortable even when worn for long periods of time or while marching or running. Corrugated detailing on the steel plate armour does not only add decoration but stability to the piece. The leg armour shows off a bright metal finish that suits knight and warrior characters of all kinds. These greaves are sold as a set. 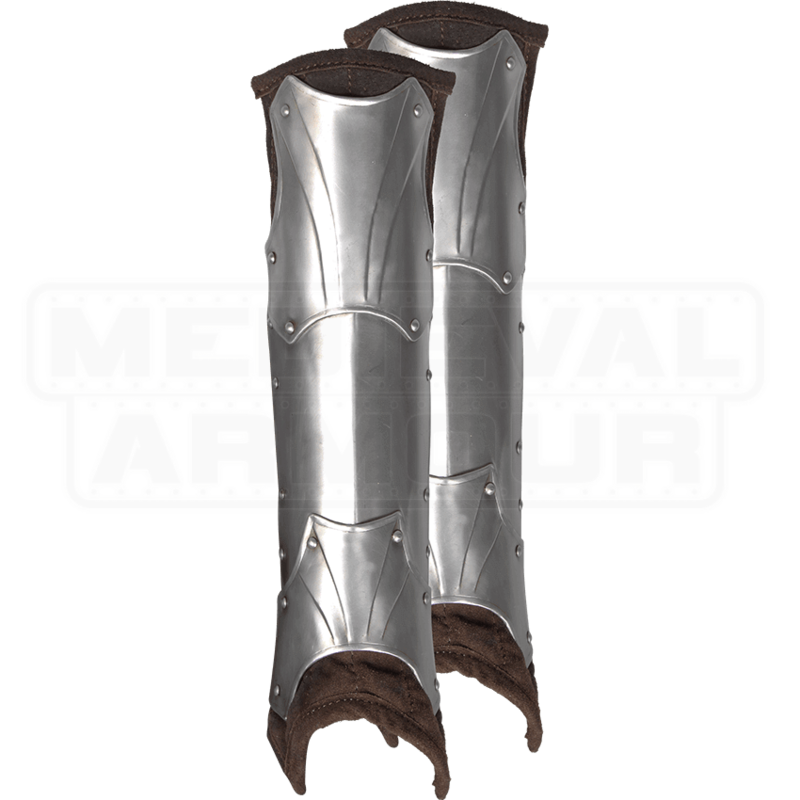 Be sure to check out all of our Fafnir-style armour when preparing for your next LARP battle or re-enactment!